You don’t normally think of Afghanistan as a country synonymous with action sports or equality. But there are underground movements happening which are set to change the future of the youth of that nation. Skateistan is an organization started by Australian pro skateboarder Oliver Percovich in 2007. On a trip to Kabul where he brought his skateboard, he found it was an easy ice breaker with the youth, both male and female. He was blown away by how the kids flocked to him and how they were eager to ride the boards he showed them, that he knew he was onto something. Instead of just chalking up his experience as a one-off feel-good moment, he decided to think bigger and create a non-profit that would engage the youth of Afghanistan through skateboarding, and also create a space for them to be empowering socially through other forms of interaction. On October 29, 2009, Skateistan completed construction of an all-inclusive skate park and educational facility on 5428 square meters of land in Mazar-e-Sharif donated by the Afghan National Olympic Committee. 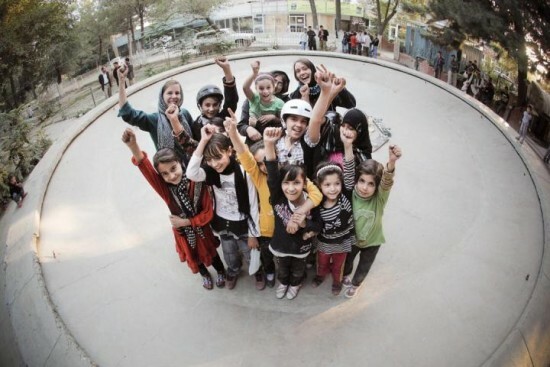 Today Skateistan is an award-winning International NGO with locations in Afghanistan, South Africa and Cambodia! They work with youth ages 5-18, they are non-political and welcome people of all backgrounds, and surprisingly almost half of the kids that come through their programs are girls. In fact girls and street-working children are one of their focuses, as they want to use their organization as a means to access education in areas where girls often cannot. ” [We] believe that when youth come together to skateboard and play, they forge bonds that transcend social barriers. Furthermore, through creative education classes the youth are enabled to explore issues that are important to them,” says the website. In a country where positive role models for young girls are scarce, especially because strict Muslim laws forbid women to do many things in public, Skateistan is stepping in and offering something unique. “It’s important that they have role models, and we want their role models to be other Afghan kids who are healthy and happy. The girls can see that they now have opportunities and options in their lives that may have not been there before,” Oliver told the Daily Mail. And it’s not just about showing them positive role models, it’s also equipping these kids to be their country’s next generation of world changers. “We want to help create a new generation of leaders in Afghanistan that can tackle the problems that they face in society. People might come to Afghanistan and say ‘Your political system is corrupt’ or ‘Your education system is not good enough’, but rather than tell them how to fix it, we want the kids to understand that what they consider to be important issues are the things that they can help change,” said Oliver. 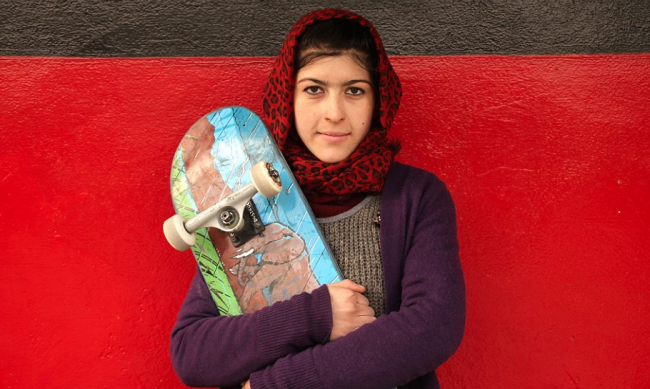 Skateistan is responsible for building the outdoor skate facility in Afghanistan, and they also built an indoor arena where girls can come and skate in their own area and not face judgement for interacting with men as they get older. They have designed three focused areas that youth can come and join: Skate And Create, Back To School and Youth Leadership. “Skate And Create is a session where they are encouraged to use their creative ability alongside practicing their skateboarding. Back To School is a very important one as that is where we take the street kids who have dropped out of the education system and put them on an accelerated course to get back into school. And Youth Leadership is for the slightly older students where we give them opportunities to become more responsible leaders amongst their peer groups, as well as get involved in creative elements such as photography and blogging and so on,” Oliver explained. 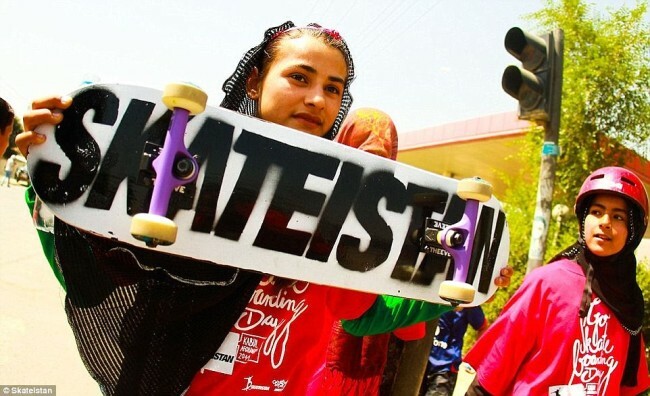 Skateistan’s communications director Rhianon Bader told ABC News that there are many restrictions on girls playing sports in Afghanistan, but luckily skateboarding isn’t one of them. “We’ve done everything to make our program culturally appropriate to reach as many girls as possible. In Afghanistan, girls can only be around other girls, so we host all-girls classes taught only by female teachers. We have a separate safe facility for them and provide free, safe transportation for them,” she said. For a country that has been ravaged by war for decades, this group is bringing hope like never before. One student in the program, Madina Saidy, 16, is now a teacher and recently represented Skateistan in Colombia at the U.N. Habitat’s World Urban Forum, where she spoke in front of 25,000 participants on urban equity, Rhiannon told ABC News. Stories like this make us hopeful that change is possible when you think outside the boundaries. We bet Oliver Percovich never thought his pro skateboarding career in Australia would ever eventuate to him creating an award-winning organization that changes the lives of young boys and girls from war-torn Afghanistan. Nothing is impossible when you are open to the possibilities, we say!